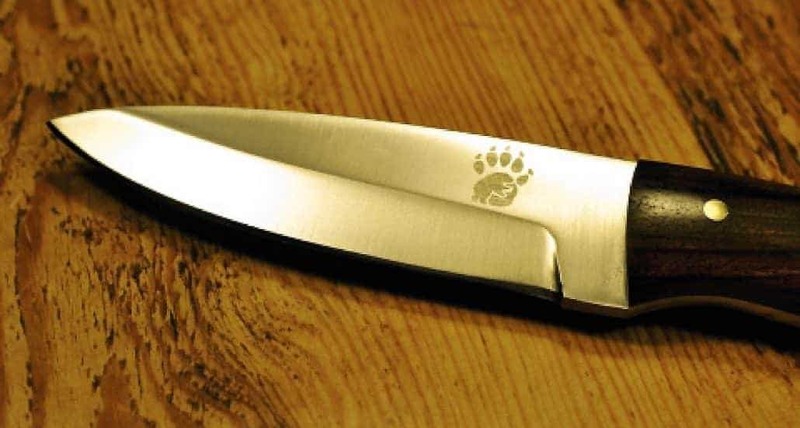 It is important to know and understand the current laws on buying and carrying knives in the UK before venturing out anywhere with a knife, whatever its size. The laws about buying and carrying a knife depend on the type of knife, your age and your circumstances. (1) Subject to subsections (4) and (5) below, any person who has an article to which this section applies with him in a public place shall be guilty of an offence. (2) Subject to subsection (3) below, this section applies to any article which has a blade or is sharply pointed except a folding pocketknife. (3) This section applies to a folding pocketknife if the cutting edge of its blade exceeds 3 inches. (4) It shall be a defence for a person charged with an offence under this section to prove that he had good reason or lawful authority for having the article with him in a public place. The definition of “public place” is unsettled, but can loosely be defined as anywhere the public have a legitimate right to be whether this access is paid for or not, which could include any populated area within the United Kingdom, including one’s motor vehicle, which is defined by law as a ‘public place’ unless parked on private property. In a remote or otherwise unpopulated area, a public place could include: 1) an organised wilderness gathering or event; 2) a National Park; 3) Forestry Commission land that is held open to the public; 4) public footpaths; 5) bridleways; and 6) any area where an individual does not need to ask specific permission to walk, camp, or travel from a landowner. The phrase “good reason or lawful authority” in Subsection 4 is intended to allow for “common sense” possession of knives, so that it is legal to carry a knife if there is a bona fide reason to do so. Subsection 5 gives some specific examples of bona fide reasons: a knife for use at work (e.g. a chef’s knife), as part of a national costume (e.g. a sgian dubh for the Scottish national costume), or for religious reasons (e.g. a Sikh Kirpan). However, even these specific statutory exceptions have proven unavailing to knife owners at times. It is important to note that that “good reason or lawful authority” exceptions may be difficult to establish for those not using a knife in the course of their trade or profession, but merely because the knife is needed in case of emergency or for occasional utility use. A person on holiday and travelling by motor vehicle in the UK might well be obliged to purchase a knife at their destination, rather than risk prosecution if one is found by the police during a routine traffic stop or checkpoint. Although English law insists that it is the responsibility of the prosecution to provide evidence proving a crime has been committed, an individual must provide evidence to prove that they had a “good reason or lawful authority” for carrying a knife (if this is the case) upon being detained. While this may appear to be a reversal of the usual burden of proof, technically the prosecution has already proven the case (prima facie) by establishing that a knife was being carried in a public place. Has THIS person got permission; to use THIS article (knife); for THIS use; on THIS land; and by THIS land owner. The special exception which exists in the Criminal Justice Act 1988 (Sec. 139) for folding knives (pocket knives) is another “common sense” measure accepting that some small knives are carried for general utility; however, even a folding pocket knife or multi-tool equipped with a blade of less than 3 inches (76 mm) may still be considered an offensive weapon if it has a locking blade. It is a common belief that a folding pocket knife with a blade of 3 inches (76mm) or less must have a locking blade to be considered an offensive weapon, but the wording of the Criminal Justice Act does not mention locking and the matter becomes a question as to the definition of “folding pocket knife”. If in doubt leave it at home.